Here are the latest custom orders. I have had so much painting the past year and a half, but with the addition of a new little one to our family, I need to take a little hiatus. So, I will not be filling orders now through at least January 1st. I'll let you know if when I open back up. Thanks to everyone for your support of Blessings and Bows!! Happy Holidays!! 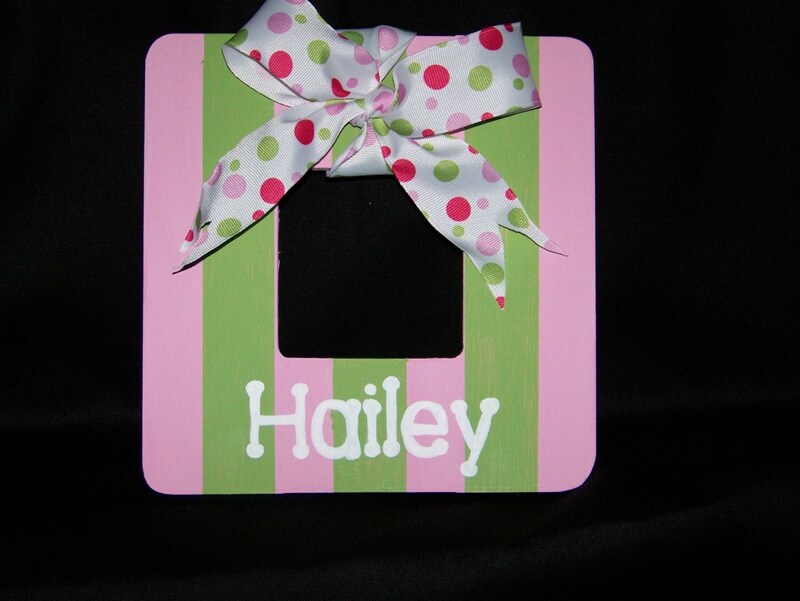 Stop by Shake the Salt for your chance to win a custom Blessings and Bows picture frame! Thanks, Christy, for the wonderful write-up on Blessings and Bows' products! Be sure to check out the other giveaways occurring this month, too! Deadline for B&B giveaway is August 25th! This past month I introduced the legal sized logo clipboards (check out my website for more examples). This particular design was a challenge, considering I am much more of a "crafter" than an "artist". But, it was definitely fun to work on! Check out a special Blessings and Bows feature at A Blog of Goodies! Thanks, Karen, for the wonderful blog post!! Check out this link for a chance to win a Blessings and Bows clipboard at MomDot!! The Blogger Bash was such a blast tonight! Great food, fun and fellowship! What more could you ask for?!? It was so fun to meet some new faces and put some real faces to the ones I stalk on the computer! What a great turn out!! Thanks to everyone who came out! I look forward to the next one!! Be sure to stop by my online store to view a few new designs available for immediate shipping! If you saw something tonight that is not listed on my store (corkboard, pens, whimsy clips, etc), just email me and I can help you out. Calling all bloggers and stalkers! Hope to see you there!!! I will have a few things there available for purchase and custom order. I am debuting a few new products, too! There will be some other wonderful shops, too!! Please email me or Summer for location details!!! I had a recent custom order featuring the color scheme from this fabulous "Chocolate Kleo" fabric! The customer wanted one of our Blessings and Bows original designs, but in these great colors! I had a fun time working on these! Aren't these colors super fun?!? Several other custom orders are in the works! Check back later this week for a few new custom designs!! Laurie at Tip Junkie will be celebrating her one year anniversary of fabulous blogging by holding a 20 day giveaway!! Beginning June 30th through July 28th, be sure to check out Tip Junkie DAILY for your chance to enter the big giveaway! Please check out http://tipjunkie.blogspot.com for contest rules and more information! Be sure to enter for your chance to win a Blessings and Bows clipboard during the 20 day giveaway!! Head over to Kingcade Kitchen to enter the 100th Blog Celebration Giveaway!! You could win a completely custom picture frame from Blessings and Bows! Be sure to tell your friends! !